Beef Wellington Appetizers: Tender steak smothered in mushroom pate wrapped in prosciutto then surrounded by Puff Pastry that is baked to light and flaky deliciousness. Perfect for all special occasion entertaining this holiday season, but easy enough to have just because they are delicious! With the holidays approaching Ive been trying to come up with recipes that are packed full of amazing flavors and look super impressive when I serve them. I also want them to be very easy and stress free to make. This recipe for Beef Wellington appetizers delivers on all counts. Id like to thank Pepperidge Farm® Puff Pastry for sponsoring todays post. Ive worked with them often and they are my go to brand for Puff Pastry Sheets. They make using Puff Pastry easy. You thaw it out, roll it out then use it. I love that it comes out consistently every single time. I mean whats not to love when it comes out light, airy, and golden flaky delicious in all of your favorite recipes? I’ll share a little tip with you when you use it (I also recommend doing this in the recipe for the Beef Wellington Appetizers too.). If you brush the Puff Pastry with egg wash right before baking it will help with the color to come out even more golden and delicious! 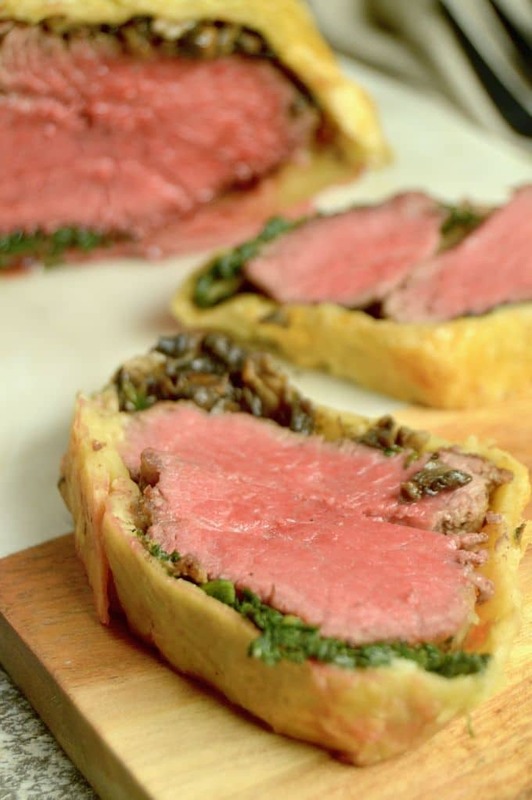 Check out this Video for Step By Step Instructions for Beef Wellington Appetizers below! I love making recipes such this Beef Wellington Appetizers during the holidays. I can make these in about an hour…. with a lot of that time being resting time while chilling. They may look elegant and impressive, but they are easy to put together. How do you make Beef Wellington appetizers using Puff Pastry? The next tip I have for you: Chilling it in the fridge. When the log is wrapped in plastic you need to place it in the fridge. This allows everything to set and meld a tight seal so when it bakes it stays together when you cut it. After you chill it its as simple as rolling out the Puff Pastry and then enveloping the Beef Log completely in Pepperidge Farm® Puff Pastry. Look how golden and delicious that looks when it is finished baking! These Beef Wellington Appetizers are perfect for entertaining for the holidays when you have a bigger group of people. 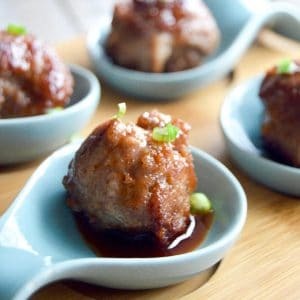 You can serve this special appetizer full of quality ingredients but because its nice and filling you don’t need a lot of it for your guests to fill up. 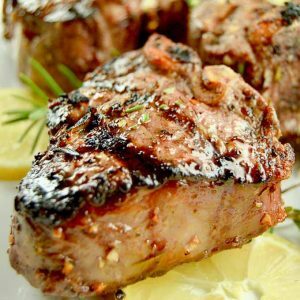 More Gourmet Recipes to serve for special occasion entertaining! If you need more inspiration and entertaining tips for this holiday season please check out my Facebook and Instagram page. I share all sorts of fun tips and tricks to make entertaining easy and stress free! Season all sides of beef tenderloin with salt and pepper. Heat a skillet to high, then add 1 tablespoon olive oil to the pan and swirl it to cover the bottom. Sear all sides of the meat, about 45 seconds per side. Remove tenderloin from the pan and set on a side plate. Using the same pan reduce heat to medium. Add 1 tablespoon olive oil and swirl to cover. Then add minced garlic and spinach and sauce spinach until fully wilted. Remove from pan, place on a paper towel and remove any excess water. In the same pan, add 1 tablespoon butter and melt. Then add mushrooms and tarragon. Sauce until mushrooms are fully cooled and softened. Remove from pan and set aside in a separate bowl. Take out a sheet of plastic wrap and place prosciutto overlapped to cover an area just slightly larger than the tenderloin. (See picture in post). You will be wrapping the entire tenderloin in the prosciutto. Lay seared tenderloin atop the spinach. Spoon on mushrooms to the top of the tenderloin. tuck over the top the ends of the prosciutto. Then take the plastic wrap and use it to tightly seal the prosciutto to completely cover the tenderloin. You will probably need to pull back plastic wrap to use your hands to finish wrapping it. Then wrap the log into the plastic and place in the fridge for 30 minutes. While the log is chilling, on top of parchment paper, dust with flour and roll out the sheet of Puff Pastry. You will roll out the pastry to about 2/3 larger than what it starts out as. After 30 minutes remove log from plastic and place on top of the pastry. You may need to trim away some excess. 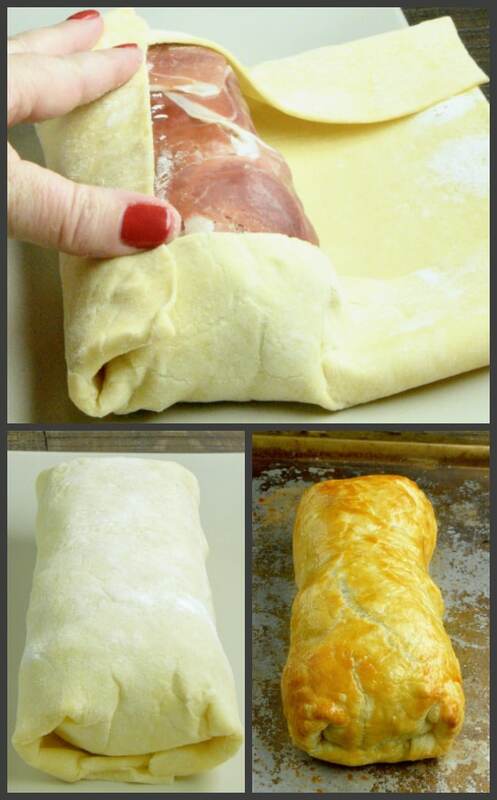 You want to wrap the ends up and then roll in the sides to completely envelope the log into the Puff Pastry. Flip the log over and place the seam on the bottom.. Using the egg wash, brush all over the Puff Pastry. Where it is joining together brush in the seam so that it sticks together and won't pull apart during baking. Place on a baking sheet and bake for 15-20 minutes until Puff Pastry is golden brown. Use a thermometer to check temp of desired meat. 120° rare, 140° medium 155° well done. Remove from oven and allow to cool and for juices to settle. DO NOT cut for at least 15 minutes. Cut into 16 slices, and serve immediately. 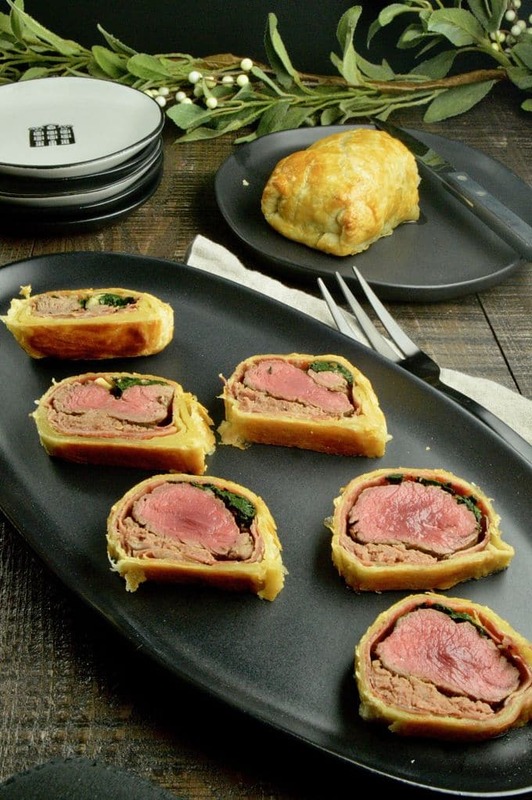 I’m a big fan of beef wellington and your version looks wonderful. Love the prosciutto. Pinning to make it this year – love your recipe! You’re a pro at it! This looks so good! I’ve always been so scared about beef wellington – I’m not sure why! This is so impressive and perfect for Christmas! Can you believe I’ve never tried beef wellington??! It’s on my “must make” list! I saw this on Instagram and thought it was such a good idea for an appetizer, especially during the holiday season! The beef is cooked perfectly, and I love the addition of the mushrooms and prosciutto. Putting this into my rotation! Pepperidge Farms puff pastry is a must for holiday cooking! This is such a gorgeous appetizer idea! Definitely making it this holiday season! I’ve never had beef Wellington before but your pics make it look so easy! I will definitely have to try it! 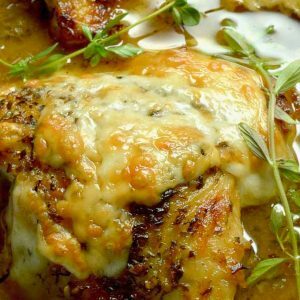 Your pictures made the recipe look so easy to put together.Wish I can replace with Chicken! Wow! I’ve never seen wrapping the tenderloin in prosciutto before, but it is genius! Such a great idea for another layer of flavor! I have to commend you, beef wellington is such a brave chef’s recipe. I have never attempted making them before, and I always just have them when they are available in when I eat out in fancy restaurants. Plus all the hell’s kitchen episodes with failed beef wellingtons have not helped me gain the courage to make them. You make it look really easy though. This appetizer looks so elegant and delicious! It would be perfect for any holiday entertaining! OMG, these are so amazing! I love every aspect of these especially how easy it is. I don’t like mushrooms so I might improvise with olives instead!! I can’t wait! This is a show stopper appetizer! It looks delicious and I’m all for a little help with pre-made puff pastry! I love beef wellington but have actually never made it. I definitely need to try your recipe – looks so delicious! I made beef wellington once. It came out perfect. I am definitely putting your appetizer on the menu. It looks so delicious. This recipe is SO perfect for having friends over! Definitely saving this one for the next time I want to impress my friends or family 😉 Looks delicious! Oh you make this look so easy. I have not make beef wellington in years. Now you make me wanna make some. I use to use Pepperridge puff pastry when I was in the US. It’s a good brand too! Their site has some good recipes. I never thought a dish that sounds so fancy could be approachable like this! 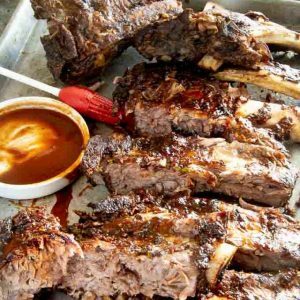 I loved the helpful video and this recipe looks like an excellent crowd-pleaser – especially for the holidays! Well, if you were on Hell’s Kitchen, Gordon Ramsay wouldn’t be able to say anything bad about this absp;utely beautiful and gorgeous Beef Wellington! 🙂 that makes me smile! Wowza, Michele this meal is a gourmet dinner and I love how doable you’ve made it! That meat is cooked to perfection! You made that look easy and delicious. Pepperidge Farms site has some great ways to use the puff pastry for chocolate and apple desserts as well. Thanks for the inspiration. This looks incredible! I love beef wellington, but have never made myself. Thanks for posting such an easy to follow recipe! Being your neighbor and love being your official taste tester… I am sure everyone will love this. They were so good.. I just wish you would have had more to send over!